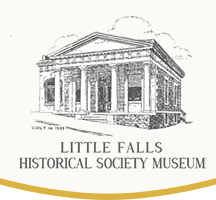 Little Falls Historical Society Museum staff are working hard getting ready for the season opening in May. A new Sports Wing is underway with trophies, photos, and more, that will be on display for the season opening. As local historians pour over many photos featuring local Little Falls athletes, deciphering who are in the photos is proving to be a challenging task. At a recent gathering of staff historians, they decided to ask the Little Falls residents for help. Will you help us? Click on an image below to view a large version. Use this form to help us match names to the faces of Little Falls athletes. Which photo are you helping us with? SPORTS WING PHOTO 1SPORTS WING PHOTO 2SPORTS WING PHOTO 3SPORTS WING PHOTO 4 If you press the CTRL key while selecting, you can choose more than one photo. Join us as we open for the season! We’re looking forward to a new season and new exhibits including our Prohibition Exhibit and expanded Sports Wing.